If you want to stay warm and comfortable during the cold months of fall and winter, it's vital you ensure your Lennox furnace is in good shape. The problem is that Lennox furnace repair issues can show up when you least expect them, and not everyone knows where to turn when facing that situation. 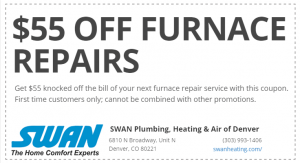 The team at Swan can come to your home and make the needed repairs to get your system running in top shape. When you see the quality we provide, you will know contacting us was a smart move. The Swan team is a family-operated business that cares about the community and the people we serve. 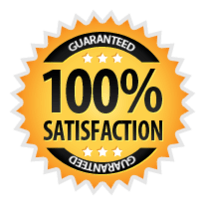 We will repair your furnace with smiles on our faces and remain transparent with each step we take. Rather than working with a faceless company, you will get kind and caring service professionals who treat you right. Or, click here to schedule your Lennox furnace service online. You might want to know how we approach furnace repair issues before enlisting our team. Researching before you spend your money can save you a lot of trouble and let you know what to expect, and we understand the concern. Our team listens to you and learns about your needs so that they can craft an approach that makes sense for you. We will start with the simplest solution and work our way up to save you time and money. While we are on the job, we pay attention to each detail and put in our best effort to get your Lennox furnace running as soon as possible. We won't leave you disappointed if you reach out to us about your furnace repair issues because we will have your back from start to finish. This section explores the common problems our team can address when you ask for their support. Ignition problems, dirty vents and damaged filters are just a few of the complications our team can contain before you know it. Ensuring your thermostat is working as it should is another thing we do while meeting your needs. If your furnace is too loud or runs longer than it normally does, we will come to the rescue and turn your worries into a thing of the past. You can count on us when you want a dependable team that has the training and experience to do the job right. Those who turn to us are pleased with the level of service our team provides, and our customers keep coming back for more. We are confident you will agree that we stand out from the rest if you give us a try. Fast, dependable service from a family-owned company is what you can expect when you turn to the experts at Swan. We will come to your location at a time that works for you and your schedule, and we always put your needs above all else. We are excited to work with you and are ready to help no matter if you need minor or major repair work. You will be proud of your decision when you see the dedication with which we operate each day. If you are still curious about how we can help or are ready to move forward, you can pick up your phone and give us a quick call.